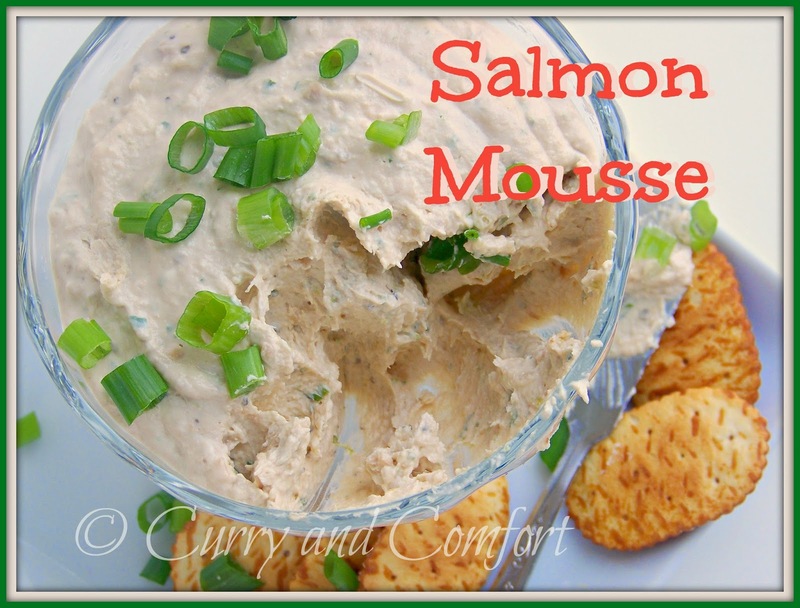 If your are looking for a quick fix appetizer for a party and you like salmon... this mousse recipe is right up your alley. 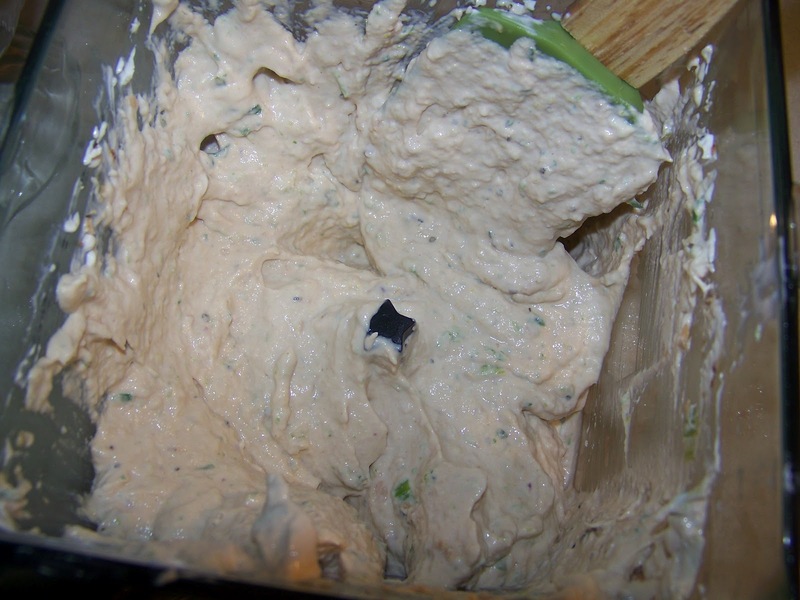 I made this Asian Salmon Mousse in a matter of minutes and let the fridge do the work to set it up. It was a lovely creamy mousse and my kids, mother and nephew really enjoyed it so much they cleaned out my bowl. We ate it with crackers and even on some toasted bread and it was delicious both ways. 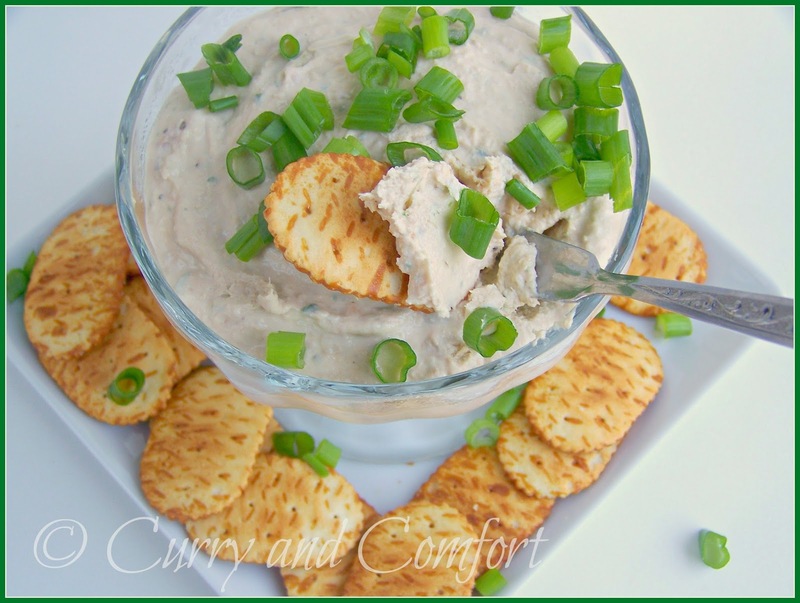 I think this would make a perfect appetizer for any party and the best part is you get it done ahead of time. 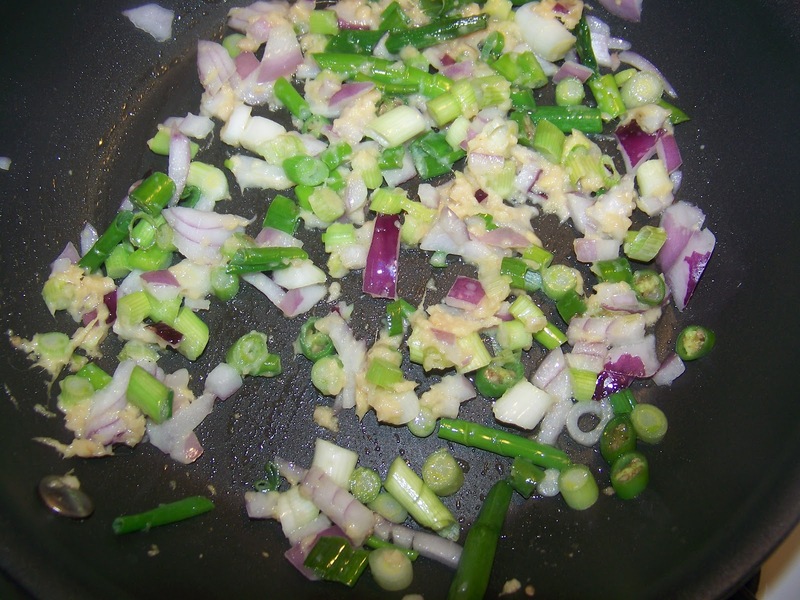 In a saute pan add 1 tsp of canola oil. Saute the onion, scallion whites, ginger, garlic and green chili. When onions soften add the drained can of salmon and soy sauce. Taste for seasoning. Allow mixture to cool before proceeding. 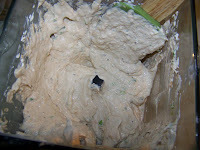 In a food processor add the room temperature cream cheese, cooled salmon mixture and mayonnaise. 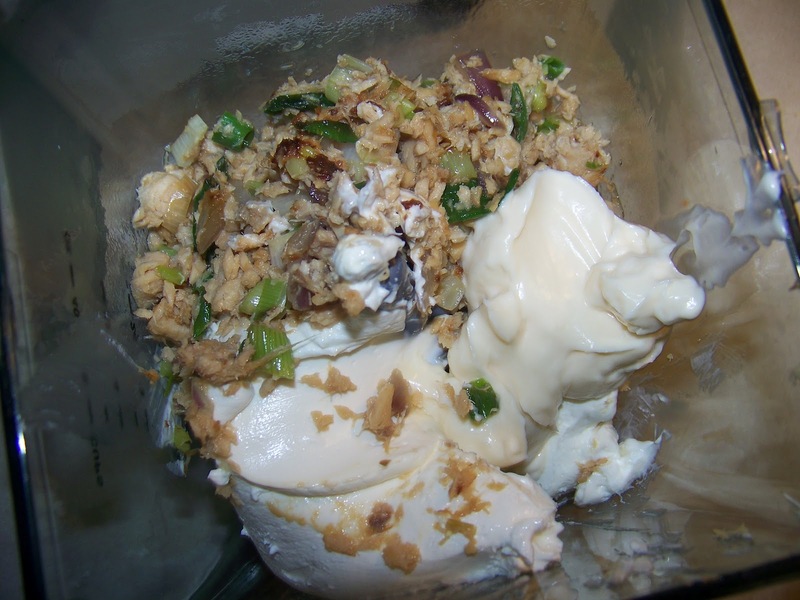 Blend until well incorporated and smooth. Place mousse mixture in serving dish and cover. Place in refrigerator overnight. 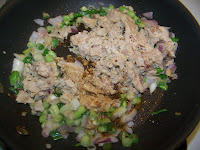 Top with greens of scallions and serve with crackers. Enjoy. OOO yes please. What a great dish for the summer for a snack! Wow, it looks so, so good. I would probably prefer this to a sweet mousse anyhow since I'm a salty/savory person. Great job on hitting the challenge dead on. I'm glad the whole family liked it. That says a lot. 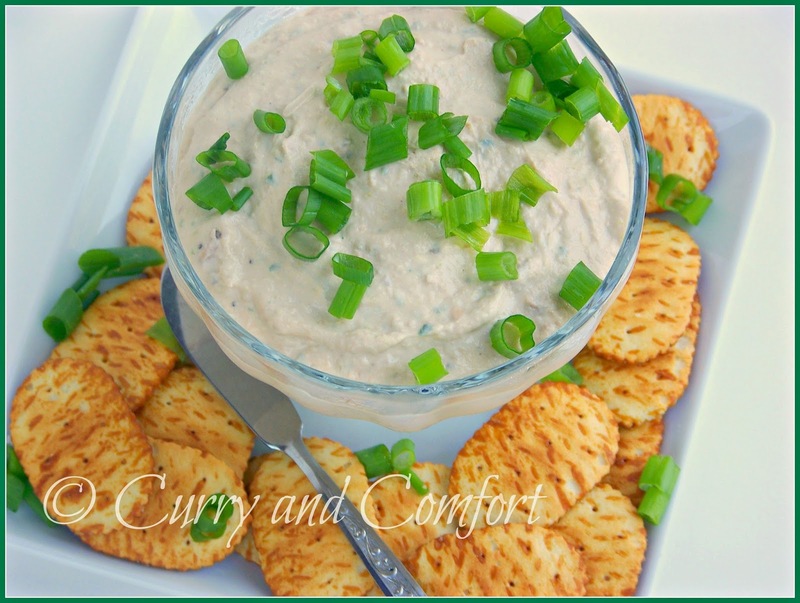 Wow,,,never have savory mousse,perfect dip with crackers,very creative post,,YUm,,Yum !! Great idea to go the savory route--I've had these before, but didn't know how to make them. 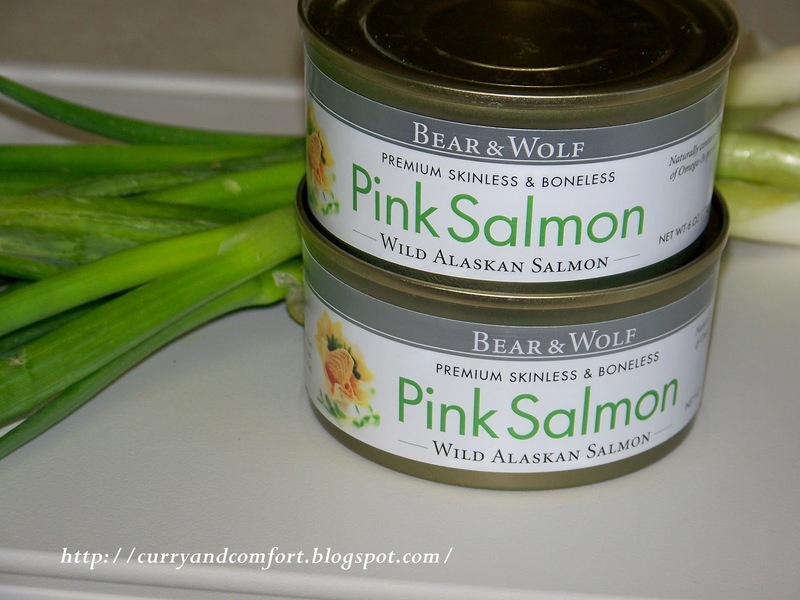 It's salmon season in Alaska, so I'm all over this. Yum, sounds delicious. I like that you went the savory route for something different. My mom used to make something like this when I was a kid to bring to parties and pot lucks. I'm sending her the link to your recipe so she can see your Asian twist. I bet she'd love to try that! I love that there is no gelatin in it.